Tara McClary Reeves is the author of Don’t Tell That to Beasley and one of her joys and privileges as a parent is daily pointing her two teens and toddler to Jesus. 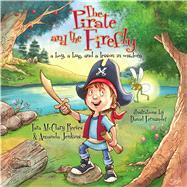 She is thrilled Amanda Jenkins agreed to join her on The Knight and the Firefly and is prayerful their collaboration will equip parents and children to focus and depend upon the Lord. Tara and her husband, Lee, live in Davidson, North Carolina with their 13-year-old twins, Caroline and Daniel, and 14-month-old "bonus baby," Harrison. She blogs at www.rememberyourraisin.com.